Some would say that finding the best fonts for your print media project is like looking for a needle in a haystack, but it’s actually more like trying to find a needle in a stack of other needles. Just when you think you’ve conquered this herculean task and discovered the one font that seems to perfectly encapsulate your vision, you’ll find that the font is outside your budget range, unsuitable for print, or not safe for commercial use. 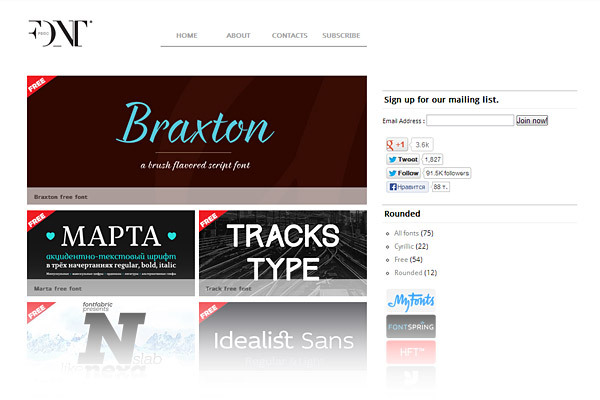 To help out, we’ve written reviews of the best free font sites for designers. If there were a travel guide to the world of high-quality, low-cost, and easy-to-use typography for print, each of the websites on this list would be marked as a must-see destination. One of the largest and best font sites on the web, Dafont has a wide selection of modern, decorative and pop culture-inspired fonts. All of the fonts on Dafont are completely free to download, though some do require a small donation to the author for commercial use. This is still a much less expensive option than buying a font kit at a retail site, as donation prices go as low as five dollars in most cases. Urban Fonts has a huge selection of both free fonts and free dingbats (decorative typographical symbols), which are meticulously organized to make searching a breeze. Unlike most free font sites for designers that use broader categories of classification, Urban Fonts uses a tag system which allows you to search with more specific keywords, such as “scary” or “flower.” The one downside is that some of the fonts are classified as premium and require you to pay a moderate licensing fee to use them in your print marketing designs. 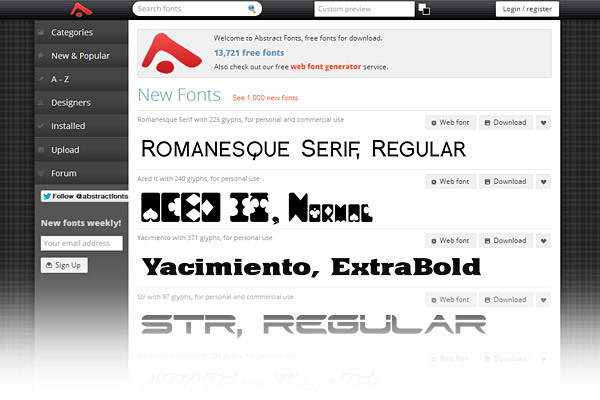 Having difficulty keeping track of all the fonts you’ve acquired from free font sites like DaFont? 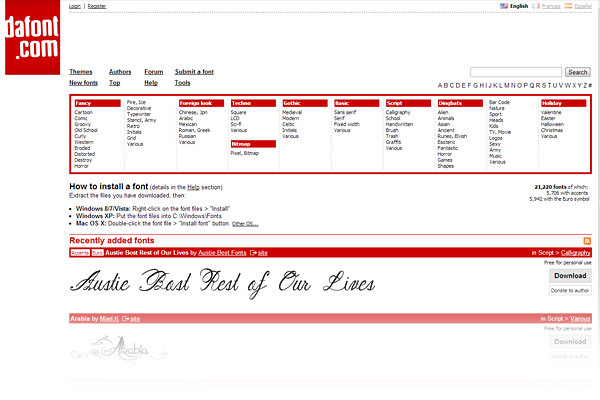 The Abstract Fonts website comes with a handy feature that tracks and displays all of the fonts you’ve already downloaded. 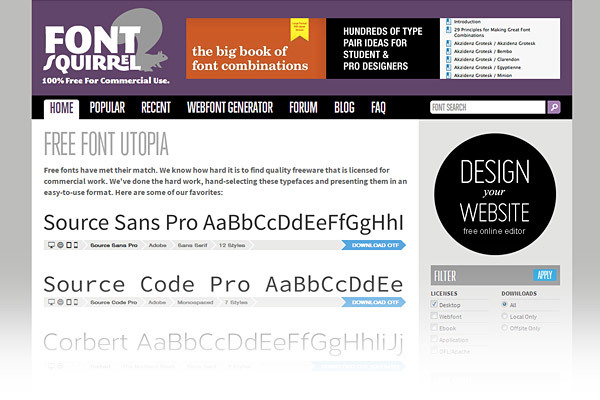 On top of that, they have an immense repository of free typefaces with new fonts added on a weekly basis. When you first look at Font Squirrel, you might be put off by the sight of many fonts you’ve already seen on other websites…but there’s a good reason these typefaces are used so often. 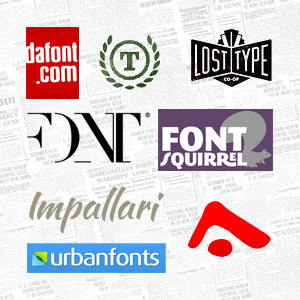 Font Squirrel is a top-rated source for completely free fonts, acting as a sort of aggregator source featuring the best free fonts for commercial use available. With an easy-to-navigate website broken into overlapping categories, it’s easy to find the exact font you’re looking for in no time at all. 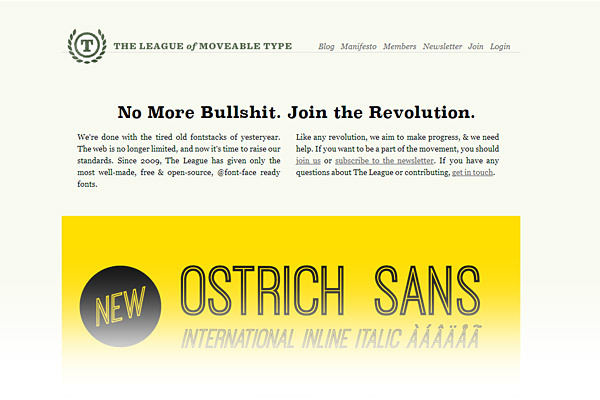 Here, you’ll find truly unique, imaginative typefaces that aren’t shared anywhere else online. Font Fabric premieres a new font each week, so it’s worth checking back every now and then, even after you’ve mined the best fonts from the archives. 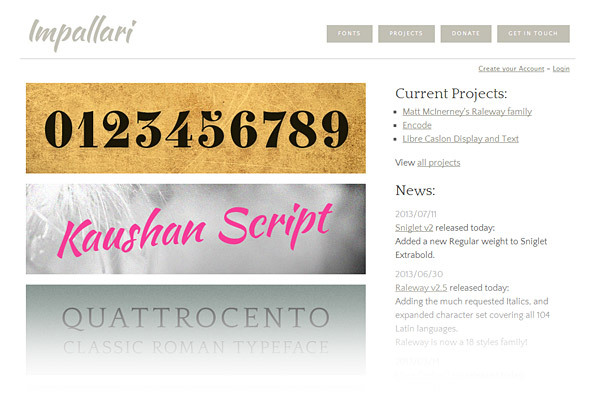 There’s a mix of free fonts and premium fonts available, though the latter are quite moderately priced. 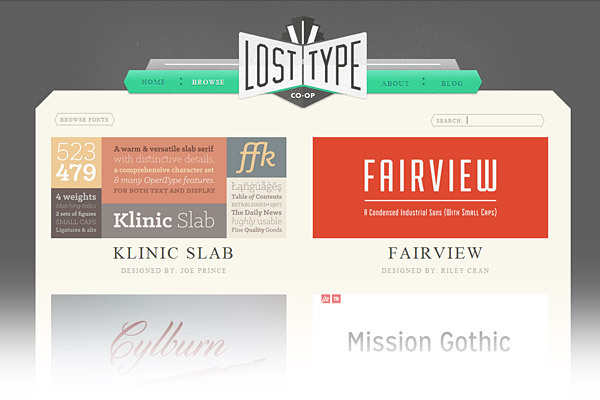 Lost Type is a font co-op that runs on donations, allowing you to name your own price for fantastically crafted fonts. All proceeds go directly to the font designer, and since you set your own price, you end up paying much less than other commercial font sites. The fonts on this site are always contemporary, clean and charismatic, making them a great choice to download for your print marketing designs. Impallari features the work of three talented font authors, and though it may have a limited selection, nearly every font on the site is a must-have for any designer’s toolkit. The site runs on donations, but in return for supporting fellow designers, you’ll get some truly unique typefaces for print design that you simply won’t find on other free font sites. Where else online can you download fonts from creators that have an honest-to-goodness manifesto detailing their philosophy towards creating exciting typography? Since this site aims to be the best of the best, you will only find high-quality, top-notch work that is completely free for commercial use in print (so long as you credit the font author). Just because you know the best font sites for designers doesn’t mean your printer has your favorite typefaces at the ready. Be sure to always include a copy of the fonts you use in your print media designs when you send your final version to the printer. Alternatively, you can directly convert your fonts to outlines using programs such as Illustrator. For more info about dealing with fonts in print, be sure to check out our essential tips for printing fonts. What are your favorite free font sites? 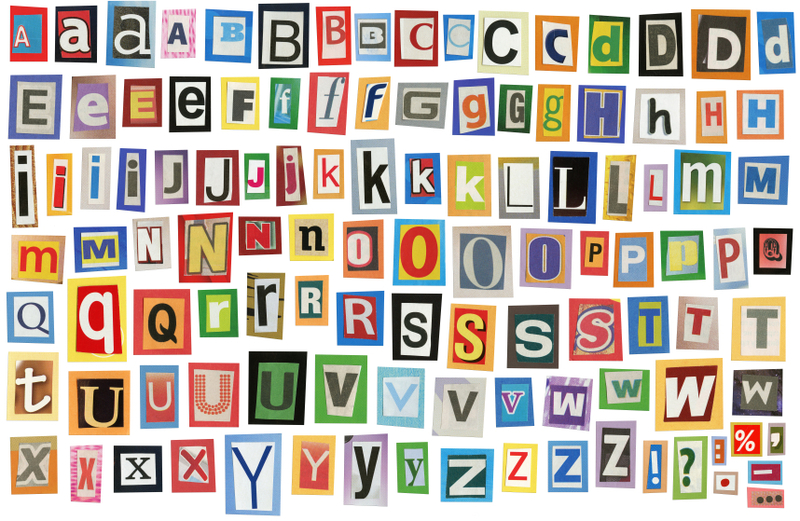 What do you value in a good typography website and what features make you wary of using them? We want to hear from you, so leave a comment below! This is an awesome compilation of resources! One question I have is: does anyone know how to ID fonts received in outlines or raster files “inherited” from a previous designer (eg, client want a brochure revised but doesn’t have vector files or contact for agency that created it). Any way to scan in a font sample and have it identified? Give http://www.myfonts.com/WhatTheFont/ a try. You can upload an image of the font and they’ll match it to the ones in their database. 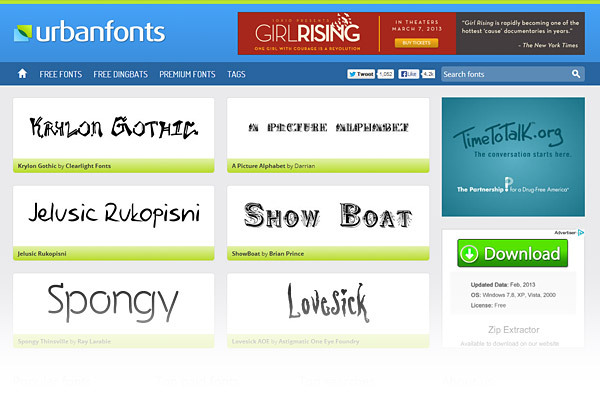 http://www.whatfontis.com/ is also another option to identify a font… Although ı never had great success with both… An addition to your list would be http://www.fonts4free.net which also lists free fonts mostly..
Never heard of websites like impallari and losttype. But i love the dafont and http://fontsadda.com for their simplicity and ease of use. Anyways, thanks for sharing the info.